I represent to your attention my new script-ability to deal with robberies. The idea came long ago, Len wouldn't let make a mod before. 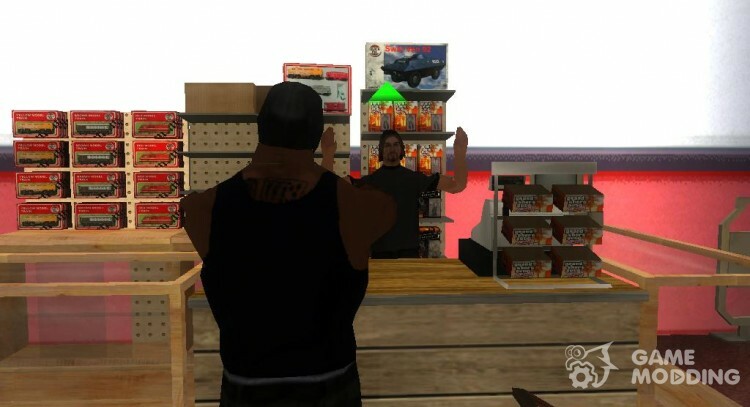 Modification to loot any business in San Andreas, such as clothing stores, hair salons, bars, etc. Before you start to think about everything: robbery that Rob and where wind after the robbery. 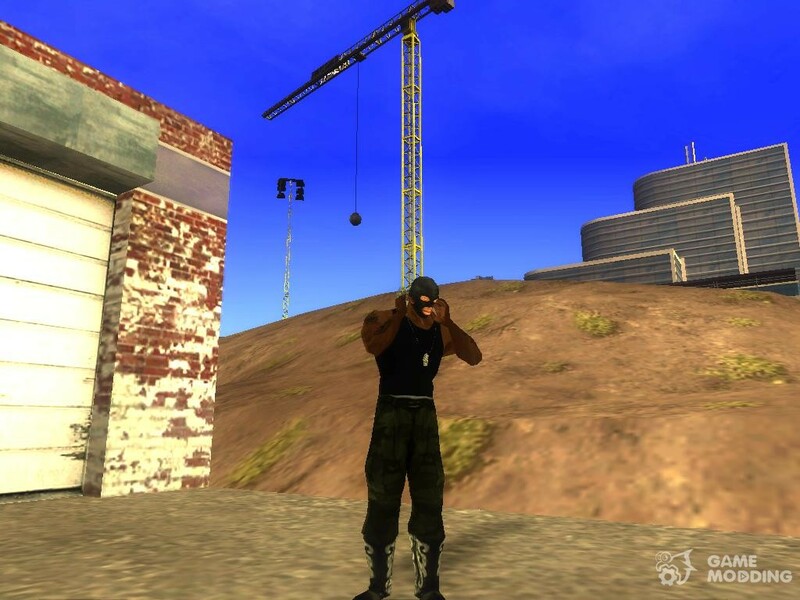 When everything is thought out, press Z, Cj Gets the mask and wears it. Also changes the player's gait. Next, go to any business, we go into a building (for example in clothing store), come to the box office, the aim in the seller and hold press F once the money is received, the smatyvaemsâ of the street. And there already will wait for the police. She comes very fast, consider this! Grab a wheelbarrow and try to escape from it. 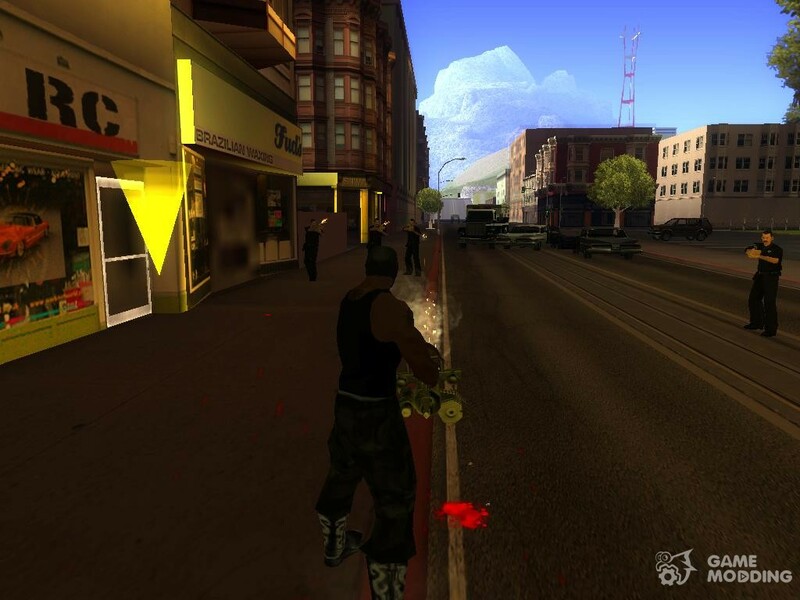 When flee from the police, again press the Z, and Cj will remove the mask. Star Search will begin to blink. Now the cops have lost you, but with any crime-star again will recover, so while the stars are blinking, it is better to stay in the shelter.